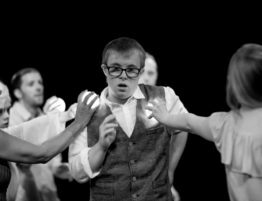 DanceSyndrome supporter and local businessman Colin Mather has signed up to run a half marathon at the Run Wigan Festival 2017, to support the charity’s 2017 fundraising appeal. Colin aged 63 from Wigan, has been supporting DanceSyndrome for the last 5 years. 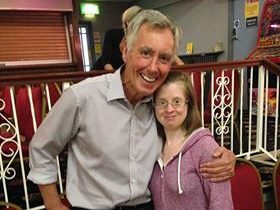 Colin, pictured left with DanceSyndrome Founder Jen Blackwell, owns Harmony Blinds, a local company who have manufactured and supplied window blinds across the borough and beyond for over two decades. 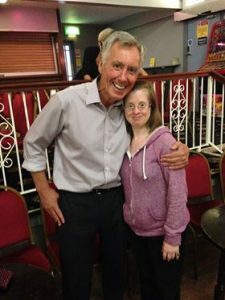 As a volunteer for DanceSyndrome, Colin has been a regular face at the Rose Club, Hindley for many years, where he goes to see friends each week who participate in the inclusive dance sessions held there. 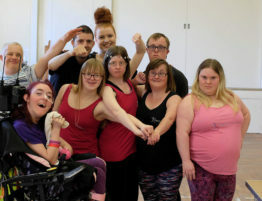 Not only does his enthusiasm and encouragement add to everyone’s enjoyment but he also donated funds to keep the session going until DanceSyndrome secured funding last year. 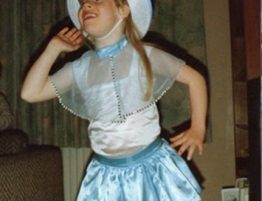 Now Colin decided he would like to do something a bit more challenging to help to raise money and awareness for the charity! 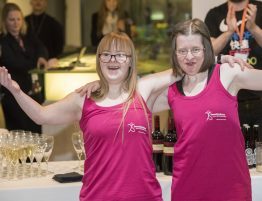 The HW Moon Toyota Wigan Half Marathon takes place in Wigan on 19th March 2017 and Colin is aiming to raise £500 for DanceSyndrome and he hopes to make people more aware of the work that the charity does. 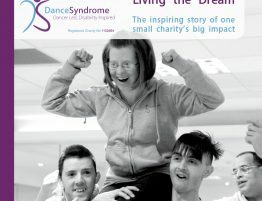 If you would like to support Colin, you can donate online via DanceSyndrome’s Just Giving page.